Ranthambhore is famous for Tiger spotting in the wilderness and the Indian Golden Triangle includes the three jewels of the Indian Tourism- Delhi, Agra and Jaipur. Experience the wildlife safari in Ranthambhore with loads of adventure with the backdrop of the sophisticated culture of the historically cultural heritage of Agra, Jaipur and Delhi. Golden Triangle with Ranthambhore tour would be a visual treat for you which would create lots of beautiful memories to reminisce. Enjoy!! Jama Masjid, Red fort, India Gate, Gandhi Memorial and other archeological wonders of Delhi. 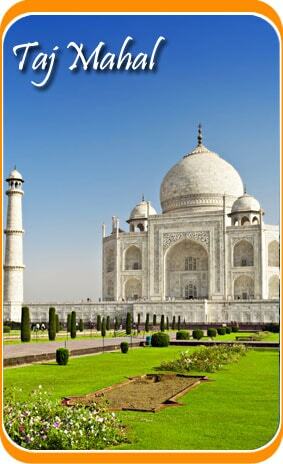 Expedition to Taj Mahal –The White marble wonder. Exhilarating ride to Amer fort on Elephant back. After you fly down to Delhi, you will be escorted to the hotel pre booked for you. Check in to the hotel and take rest. Post a light breakfast; proceed on to visit Qutub Minar Group of Monuments, which is also a famous UNESCO world heritage site. Post that, visit the Laxmi Narayan Temple and India Gate. Venture into the streets of Old Delhi and visit places like Chandni Chowk, Rajghat and Jama Masjid. Stay for the night at the hotel. After a 4-5 hour road trip to Agra, you'll visit the White Marble beauty- the Taj Mahal, a UNESCO world heritage site. After that, visit the Agra Fort and examine the intricacies of the architecture of the beautiful fort. Later in the evening, stay at the hotel and the rest of the day is for leisure. Start with your journey towards Ranthambhore en-route we’ll visit the City of Fatehpur Sikri, also a UNESCO World heritage site. Other attractions of the place include Buland Darwaza, Jama Masjid, Hiran Minar and the tomb of Salim Chishti. After reaching Ranthambhore, check in to the hotel and rest for the day. Wake up early morning for jungle safari and return to the hotel for a light breakfast. In the afternoon we’ll again venture into the jungle for the safari. With the day end, come back to the room and rest for the day. Post breakfast, you are to travel to Jaipur. At your arrival at Jaipur you will be escorted towards your hortel pre- booked for you. 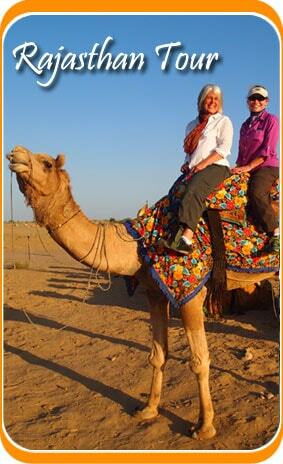 Explore the city of Jaipur – The Pink City and visit the Amer Fort which is among tea main tourist fascinations. Other attractions include Hawa Mahal, Sheesh Mahal, City Palace and Jantar Mantar. Stay at t he hotel for the night. After a refreshing breakfast you embark upon your journey towards Delhi, by afternoon. From Delhi board a flight to your home country. Your Golden Triangle with Ranthambhore tour ends here.